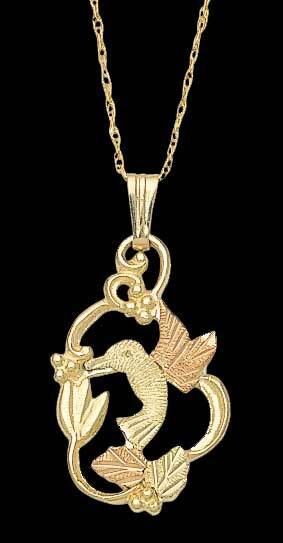 Hummingbird necklace from Landstrom's Black Hills Gold jewelry. Adorable. 10 karat gold. Green and rose gold leaf accents are 12 karat gold. 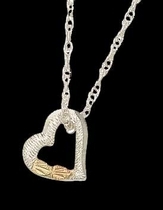 Comes with an 18 inch gold chain and elegant gift box. Check out our matching Black Hills Gold Hummingbird Ring and Hummingbird Earrings.